Forget double bubble screens, Powerbronze class this extra high screen as a ‘triple bubble’ because of the massive amounts of wind protection it provides. It's designed in a similar style to the screens used on TT Superbikes, and is made from tough acrylic and is ready to fit. Powerbronze also do standard sized screens and double bubble screens for the new GSX-R1000, all available in a huge range of colours including flame red, dark tint and, err, iridium purple. MCN Festival ticket offer extended! Prices for the triple bubble and double bubble screens start at £55 for the clear option and £58.85 for the standard size screen. 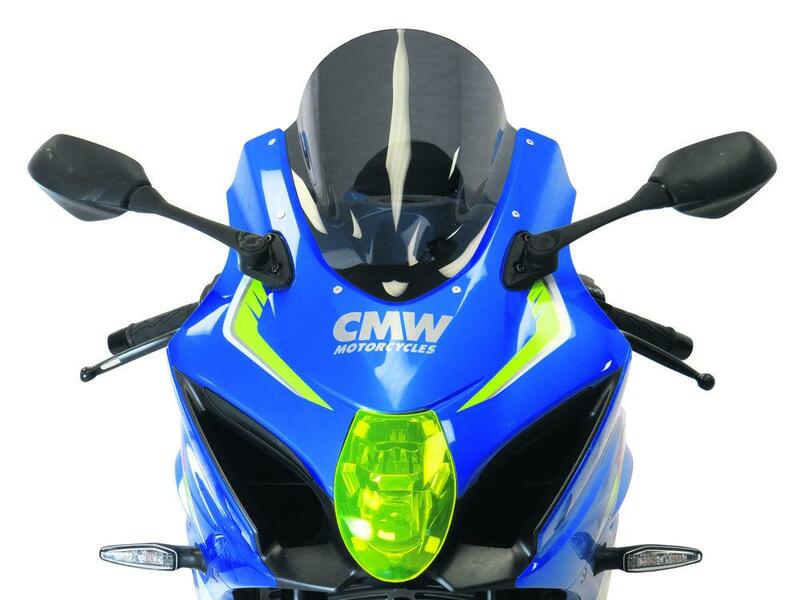 Powerbronze also do a range of other parts for the new GSX-R1000 and GSX-R1000R, including crash bungs, headlight protector, hugger, tail tidy, radiator guard, chain guard, swing arm and fork protectors.